I hope this note finds you well. Sunday promises to be another great day at Peachtree Road. We will continue our Lenten series entitled “Faithful,” and this week we will be thinking about how to respond when people disappoint you. I encourage you to read Luke 15 and in preparation for the message. The writer Terry Kay was a part of my former church in Athens, and I can remember him describing the “Prodigal Son” as the greatest parable in all of literature. He went to suggest that every other story is merely a variation of this one with its timeless plot of a young man leaving home, losing his way, and desperately trying to find his way back. On Sunday we will come at the story from a little bit of a deeper perspective and consider disappointment – the disappointment the father must have felt toward his younger son, the disappointment of the son with himself, and even the disappointment the older son had toward his father. And, yet, there is a greater power at work in the story – a power that transcends disappointment and leads to joy. That’s what we will focus upon Sunday, and I hope to see you in worship. Speaking of Sunday, this week is “Baby Recognition Day” at Peachtree Road. Each year we take time to celebrate the birth of the children who have been born to members of our church within the last year. I am grateful to the United Methodist Women who organize this recognition. 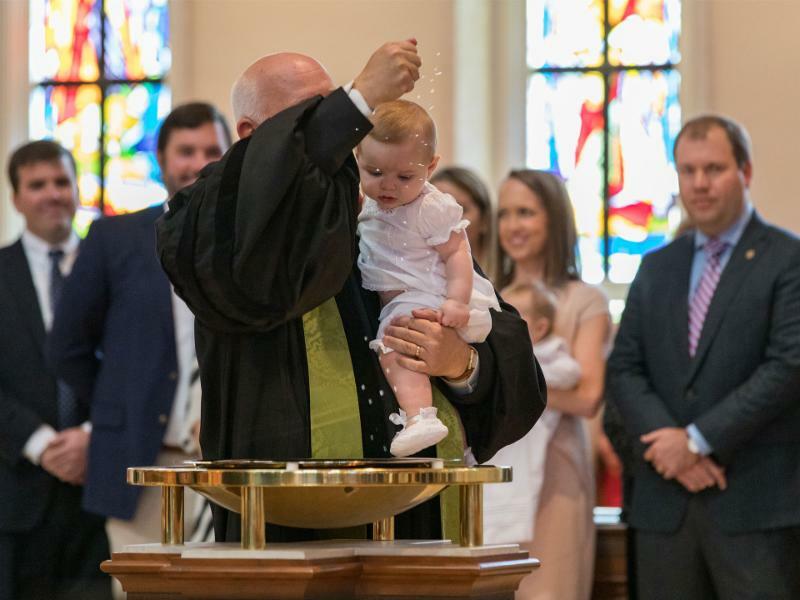 At the 11:15 am service in the sanctuary, the names of our newborns (those born between March 1, 2018, and February 28, 2019) will be called; they will be presented with a certificate from the United Methodist Women; and we will offer a prayer of blessing upon them. Over 70 children were born in our church last year, and there are over 6 sets of twins on the list! We should never take for granted how blessed we are! On Sunday we also will hear from our own Susan Marshall who will share a word of testimony about the impact of our church’s Prison Restoration Ministry. Those who know their Methodist history are aware that John Wesley not only advocated that those in prison be visited regularly but also advocated for the restoration of those incarcerated and their families. I am grateful for those in our church who have taken up Wesley’s cause and are passionate about this important work. We look forward to hearing about this ministry and how we can support it on Sunday. Let me remind you of an initiative in hospitality that is ongoing. We believe Peachtree Road is a very warm and welcoming church; however, there always is room for improvement. For example, I think we do an excellent job of extending hospitality to newcomers but may fall short in helping them discover a sense of belonging in a small group, Bible study, or Sunday School class. If this is a place where we help one another grow deeper in God’s love, mercy, and grace, how well are we welcoming people to that table? This year we are determined to become even stronger in this area. So, I want to listen to you. I want to hear your experiences and learn from you. Please join me for an Open Table Listening Session in the coming days. We have a limited number of spaces each evening, so please follow this link for a schedule and to sign up soon. I look forward to these times with you. Finally, I hope you are planning to participate in this year’s Lenten Offering. During this season we set aside fund to supports our partners in ministry throughout Atlanta. Last week we heard about the Atlanta Mission and the difference it makes in making homelessness rare, brief, and non-recurring. Each of us is challenged to take the money we would have spent on that which you have “given up for Lent” and give it toward the Lenten offering. If every member of Peachtree Road gives at least $1.50 a day for 40 days ($60 total) toward the offering, we will reach our goal. Your sacrifice will change your life for the better, and your gift will change Atlanta for the better! You may start giving now through the church app or online at www.prumc.org. Well, that’s it for this week. I know some of you are heading out on spring break with your family, and we will miss you. As always, you can watch a livestream of the service on Sunday at 11:15 am through the church app or web site, and, if you are coming back into town late on Sunday afternoon, I would love to see you at the Sundays @ 5 service in the Moore Chapel at 5:00 pm.